Throughout San Luis Obispo County, numerous recycling centers have closed leaving some local communities without a place to redeem their beverage deposits. These closures have cost local businesses and residents millions of dollars. California charges a fee for most beverage containers with a mandated minimum refund value of 5 cents to 10 cents a bottle. It’s a way to encourage recycling. Each store that sells recyclable beverage containers is required to accept recyclables, or have a recycling center nearby or pay CalRecycle $36,500 a year. In the past, local communities were served by either recycling companies or through contracts with their garbage collection company. However, as the price of commodities including glass and scrap metal has dropped, many recycling companies have closed. In addition, several local trash collection companies have shuttered their recycling centers. 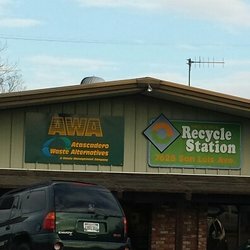 On Jan. 30, Atascadero Waste Alternatives closed its recycling buy-back center on San Luis Avenue. The shutdown occurred after the city council voted in a contract that permitted its solid waste provider to discontinue operating the buy-back center which usually paid between $2,000 and $4,000 a day to people bringing in their recyclables. As a result of the buy-back center shutdown, residents of Atascadero no longer collect the more than $800,000 paid out yearly for recyclables. In addition, dozens of local businesses are now required to pay the $36,500 yearly fee to the state further reducing local revenues. The closure of Atascadero’s buy-back center could have been prevented. In early 2014, the Atascadero City Council discussed opening up the bidding process for a six-year garbage collection contract to run from Jan. 1, 2015 through Dec. 31, 2020. The city’s contracted hauler at the time, Atascadero Waste Alternatives, and Mid-State Solid Waste and Recycling were both interested in bidding for the contract. At the time, Atascadero Waste Connections was charging Atascadero residents the highest rate for commercial collection and the fourth highest rate for residential curbside collection of 13 local municipalities, an Atascadero staff report showed. California law allows for municipalities to enter into contracts with solid waste companies for curbside collection without going through the bidding process. At a council meeting on April, 8, 2014, Mid-State Solid Waste and Recycling owner Brad Goodrow asked the council to allow him to bid on the garbage contract. Goodrow said his company would provide each resident a yard of compost, agree to operate the buy-back center and would provide curbside collection at a 10 percent savings for the residents. Mid-State Solid Waste and Recycling provides curbside collection for Templeton and the unincorporated areas of Santa Margarita and Creston. It also operates North County Recycling and North County Composts. But the Atascadero City Council voted 3-2 to give a non-bid contract to Atascadero Waste Alternatives for curbside collection, with council members Bob Kelley and Brian Sturtevant dissenting. 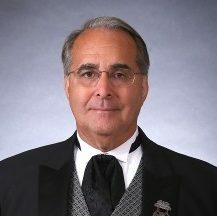 Mayor Tom O’Malley argued in favor of continuing to give non-bid contacts to Atascadero Waste Connections. O”Malley failed to inform the other council members that Atascadero Waste Alternatives had paid to sponsor several events O’Malley hosted in Atascadero, according to fliers for the events. At a city council meeting a few months later, Sturtevant joined Mayor Tom O’Malley and Council Member Heather Moreno in voting to approve a contract for Atascadero Waste Connections that did not require the company keep the buy-back center open. Both Kelley and Council member Roberta Fonzi voted no. A year later, in Aug. 2015, Atascadero Waste Alternatives demanded three rate increases over three years in order to keep the buy-back center open, according to an Aug. 11, 2015 staff report. “Atascadero Waste Alternatives has further indicated that in order to keep the buy-back center open, they need to offset this net loss with $6,500 per month in additional revenue to meet profit expectations of its shareholders,” the staff report said. Nevertheless, state law mandates that stores that do over $2 million a year in gross sales and sell bottled drinks either have on-site recycling facilities or be within a half mile of one. If not, they are required to either accept recyclables themselves or pay a $100-a-day fee. Members of the grocery industry say it is unsanitary to accept recyclables at store counters and they have no place to store the bottles. They have pleaded with Sacramento for assistance as a fifth of all recycling centers in California have closed. The state provides subsidies for recycling centers. However, the subsidies aren’t adjusted quickly enough to reflect changing market conditions and the state is late with payments. CalRecycle bases subsidies on a 12-month average of scrap value from a previous year, which does not keep up with real-time changes in scrap value prices, according to a report from the nonprofit Container Recycling Institute. A recently released state report says that 450 recycling centers closed last year. While state legislators are currently looking into the issue, no solutions have been agreed on. Meanwhile, the state is profiting on the closures as it continues to collect bottle deposits, no longer subsidizes hundreds of recycling centers, and receives $100 a day from thousands of businesses that sell beverages without having a recycling center nearby. In Massachusetts, it was the responsibility of the vendor to take returns, not the government.